Today, DC is expecting...brace yourself...1-3 inches of snow. OMG. While that may seem like nothing- well it is. But, DC has a tendency to freak out about snow much like a child before going to the dentist. Pair the stripes with this classic sweater with a feminine bow detail. Start with this. 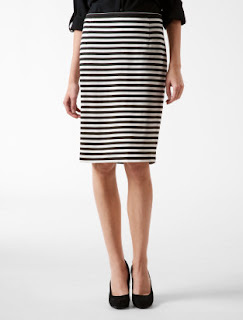 Look how the shoulder stripe extends to the top of the arm, giving you a beautiful neckline. 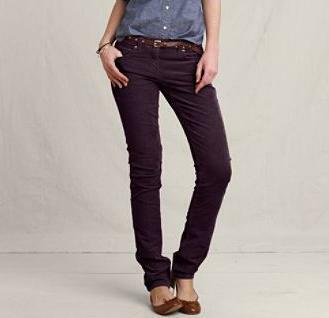 These aubergine cords are delicious with a casual striped sweater! And the price? Hello, can we talk about the price? Great heel, great color, perfect for a pedicure. Aren't you loving stripes now? Me too. I think they are very underrated. If you don't love thick stripes try it out in a nautical trend first and ease in. Something like this. You always pick the best shoes! Love the stripe boat neck sweater!! !